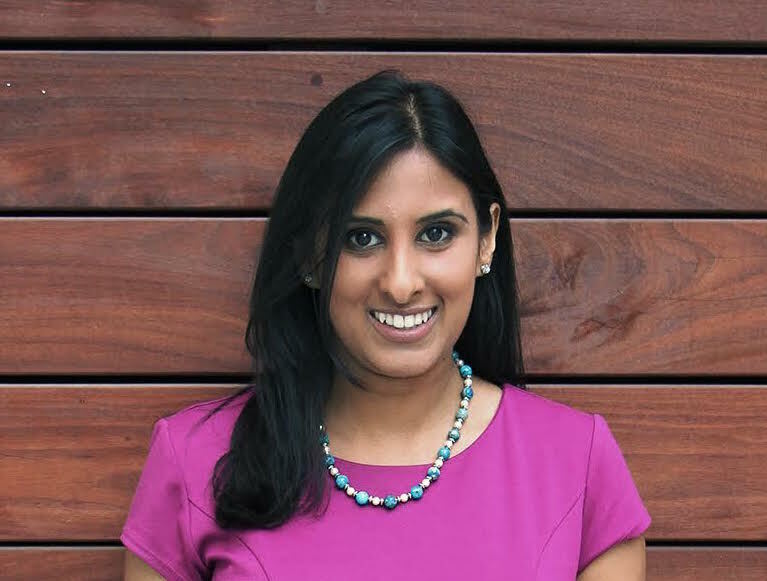 Our featured member this week is San Francisco-based Yasmin Mandviwala. Continue reading below to find out more. I wanted to join Muppies to meet people who may have come from a similar background and have similar professional goals. I did not grow up with many Muslim friends, so seeing how young folks in such a vibrant community support one another has been eye-opening. Especially in today’s heightened environment, it is reassuring to have a strong Muslim group that aims to have a positive impact on business and on society. Any success I might have to date is because of my family. From a young age my parents urged me to study beyond what was required for class, to strive for my best in any role I took on, and to try to have a positive impact on the world. They set a strong example for me of hard work combined with kindness. They taught me that the right path is not always the easiest path – but as long as I do a thorough job and treat others with respect, I will succeed. When I am faced with a tough school assignment, a late night at work, a difficult decision, or any other type of sacrifice, I remember the lessons my parents taught me. Any professional or personal success I have today is because of those lessons. I have been fortunate to have many mentors and coaches along the way. In recent times, my professional mentors have been a couple of my favorite bosses. Developing relationships with them felt natural. At first, our relationship was formal – as with any new manager, I worked hard to prove myself. As we developed trust, the relationship became more informal. We would go out to lunch, joke around, and begin to know more about each other’s personal lives. When it was time for me to move on to a different challenge, these mentors helped me to define that new role and to find it. Over time, they also began to view me as an advisor, and ask me for advice and feedback. I keep in regular touch with these individuals, and know that they are always there to give advice, provide a strong recommendation, or simply catch up as friends. My first job was at McKinsey in New York, as a generalist. One project in my first year was particularly difficult for me. Team dynamics were political, and I could not figure out how to navigate them. The work changed objectives and priorities often, which frustrated me. We had many late nights and my difficulties were certainly made worse by lack of sleep. In the end, unable to handle it after a couple months, I switched into another project. To be honest, this experience felt awful. I had never truly failed at something I put so much effort into. But, I learned. I learned that I am most successful when I build positive relationships with my colleagues. I learned that I don’t have to become best friends with everyone. I learned that sleep is essential and should be prioritized. I learned that I can fail and still move on to be successful. Overall, it was a step back but helped me launch forward. My current personal and professional goal is to stay in the moment. It’s too easy to get caught up in a flurry of activity and constantly be distracted by competing interests. I want to be more present and mindful. At work, this means carving out time to focus on the largest and most important tasks, without looking at email or getting pulled into side discussions. Personally, this means enjoying the activity I am doing and the people I am with, without looking at my phone or thinking about errands. Being more mindful allows me to prioritize at work and enjoy a richer personal life. Don’t worry too much about “being a leader.” That implies worrying about how others view you. Instead, worry about the quality of your work product, and how you are treating others. If you maintain a humble attitude, constantly learn from others around you, and always put out the best quality of work possible, the rest will follow. Find your passions. Figure out what types of roles, work environments, industries, etc. inspire you. Then, put yourself in those situations as often as possible. The happier and more motivated you are, the better leader (and employee, and friend, and person) you will be. I am a big believer in using every spare minute. There are so many mindless tasks that have to get done in a given week. I aim to finish them in the 5 minutes before a meeting, 10 minutes before joining a friend for dinner, 20 minute walk to work, etc. I keep a list of all the small things that I have to do, both personally and professionally, and use every spare moment to get them done. This way, when I have a free evening, I can spend it catching up on Game of Thrones instead of sending off administrative emails and scheduling doctor appointments. I am also a big believer in having a clean email inbox. I read every single email that I get, and organize into folders. The only emails in my main inbox represent what I have to take action on – and my goal is to keep it under 25. This helps avoid an overwhelming inbox, and also helps make sure I never miss an important message.